Deadpool—more popular than ever before—in his first Original Graphic Novel! 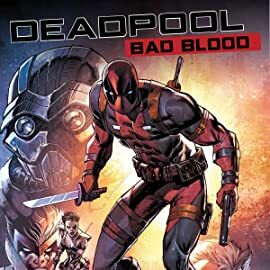 Deapool's been shooting, stabbing and otherwise annoying people for a long time now. He's made a lot of enemies. One he can't quite place is the brutal Thumper, who keeps showing up out of the blue to pound him into jelly. What is Deadpool's past connection to this beefy face-masher? And what's up with Cable, Domino, and the others on the cover? Are they going to show up in the book? (Hint: They are!) 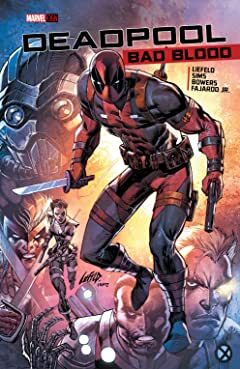 Deadpool co-creator Rob Liefeld on pencils and inks teams with writers Chris Sims and Chad Bower (X-MEN '92) to tell the tale of his greatest creation (just roll with me here) getting his heinie handed to him! Check it out—before Deadpool checks YOU out!